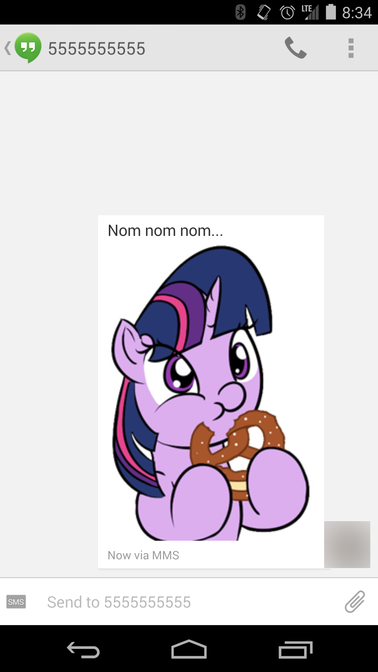 PonyMotes for Android is a mobile application that provides the user access to thousands of pony centric emoticons. 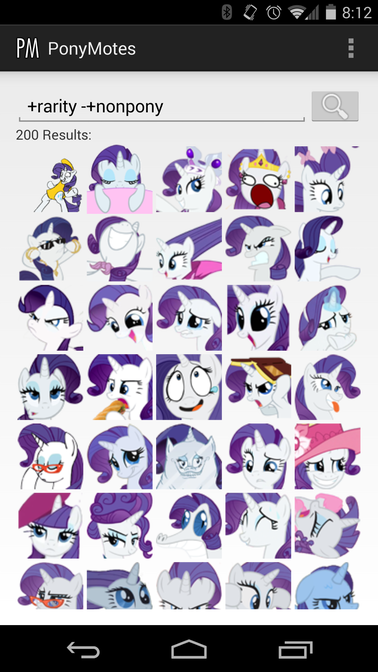 These emoticons are the brainchild of the wonderful people on the My Little Pony: Friendship is magic based subreddits. Over the years approximately eleven thousand emotes have been created, and such multiple extensions and programs have been designed to support the sheer number. 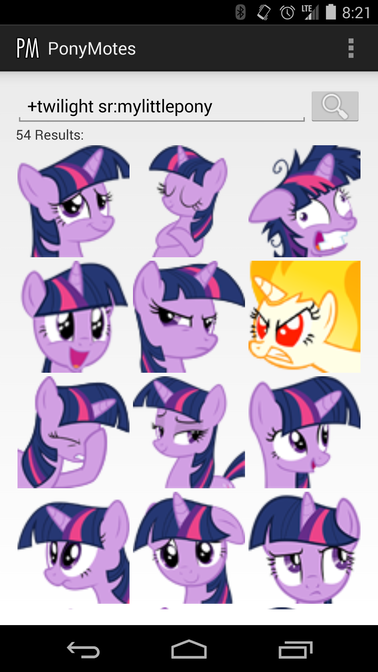 PonyMotes for Android is a program the provides a mobile access to these thousands of emoticons. This app will download all of the emoticons to the phone and provide access to compatible applications such as Reddit News. 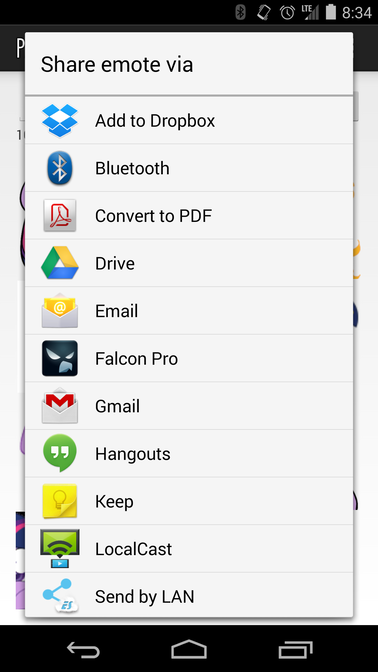 Once downloaded the emotes can be shared using the share function of Android to applications such as Hangouts or Gmail.